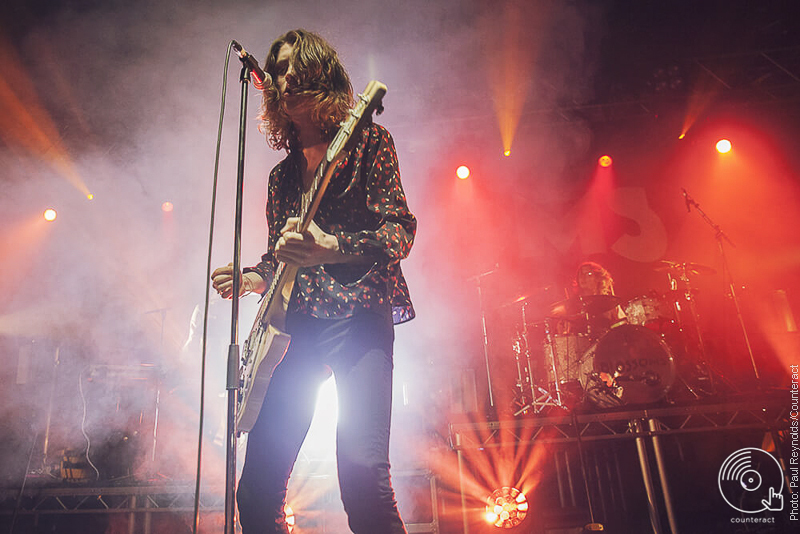 Blossoms’ rise since the release of their first EP in early 2014 has been fairly meteoric to say the least. 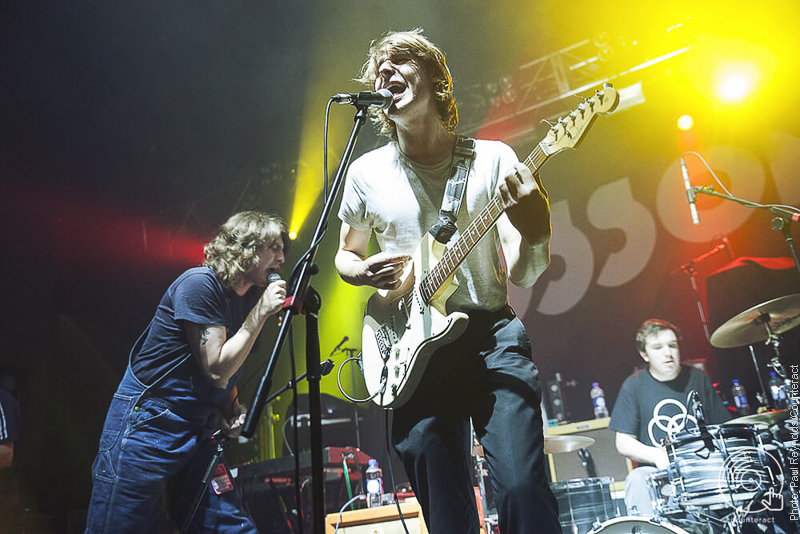 The boys from Stockport sold out the O2 Institute’s main room many weeks ago prior to their show on Friday night, which falls almost exactly two years after they last played the venue on its smallest stage to a mere 50 people. 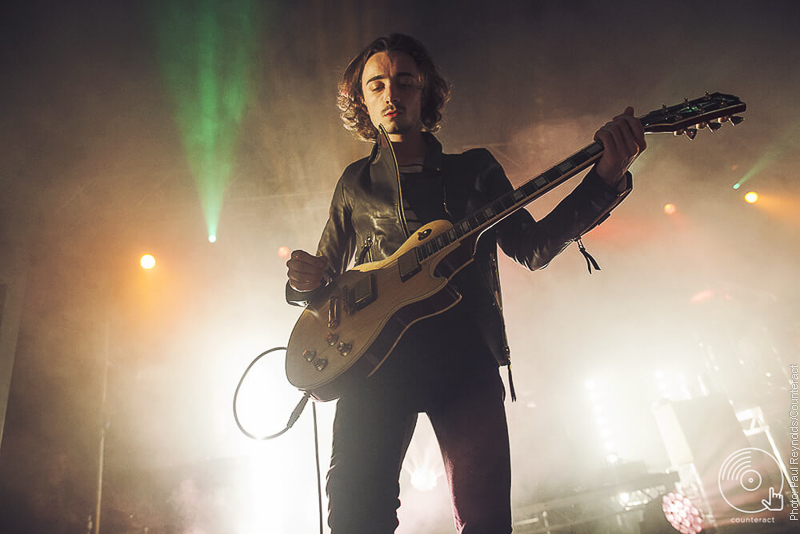 The band marked their return to the city with a huge set, as they continue to make their mark in the British music scene. Garage punk (or in their own words ‘apocalyptic sproutrock’) group Cabbage took to the stage first to get things up and running. The lads from Mossley, Manchester brought a shattering set to the Birmingham crowd, with madcap frontman Lee Broadbent spending much of his time stood atop the crowd barriers. Highlights of the band’s set include bass driven single ‘Dinner Lady’, and ‘Kevin’, which is the lead track from their EP, titled ‘Le Chou’. 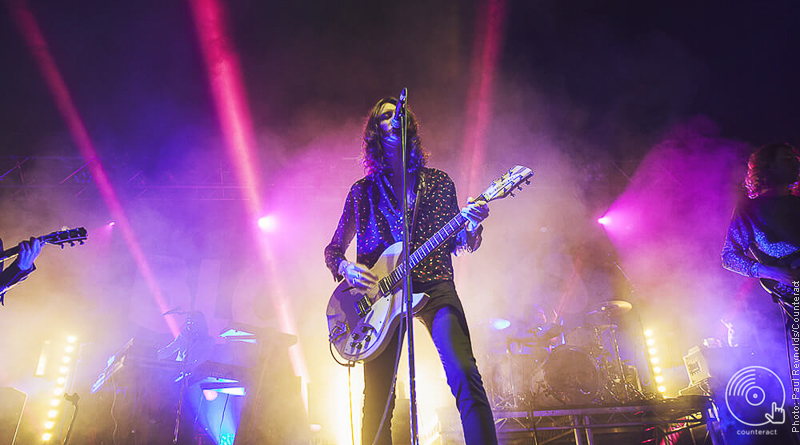 However, the highlight of the set possibly come at its closure, where the shear carnage of rock and roll prompted Broadbent to initiate a play fight with fellow vocalist and guitarist Joe Martin, which led to the pair falling onto the stage floor in a mangled mess of tangled cables. Next up was the incredibly talented and young Declan McKenna. At just the age of 17, McKenna has already toured Europe and released a handful of singles, including the critically acclaimed ‘Brazil’. The multi-instrumentalist and singer-songwriter was accompanied by his band as he dazzled the on looking Birmingham crowd with his collection of diverse and intricate material. His final song proved the be the highlight of McKenna’s set, as he looked in his element whilst fronting a raucous of blaring indie rock as he and his his band belted out his recently released single ‘Isombard’. For a kid that only took his GCSE’s last summer, he’s not too bad at all; in fact it is quite mind boggling how much maturity McKenna has in his lyrics and his musicianship. 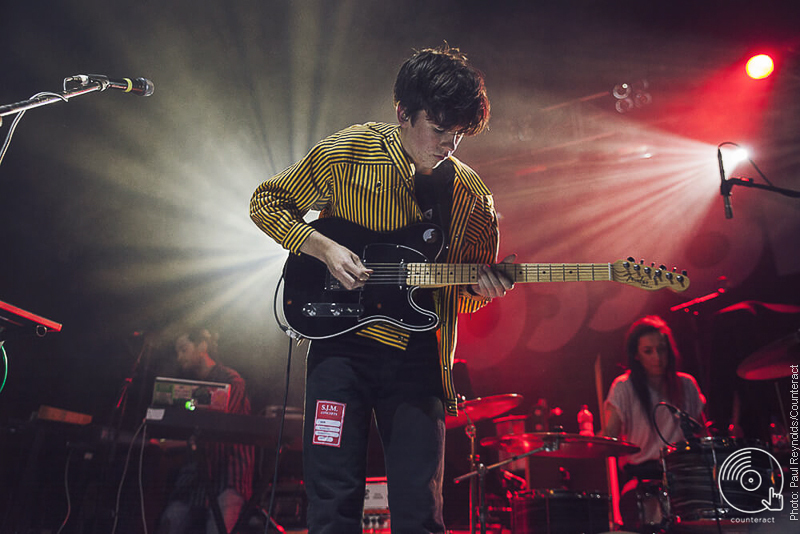 Declan McKenna is certainly one to keep an eye on next year. It was then time for Blossoms. The sell-out 2000 strong crowd was greeted by ‘Black Skinhead’ blasting through the PA system, accompanied by a strobe light show which sent the Birmingham faithful into ecstasy. The boys then took to the stage and waited for the chanting and cheers from the crowd to silence, before setting things off with ‘At Most A Kiss’. Ogden’s bandmates then left the stage after they performed ‘Blown Rose’ to allow him to perform the hit ‘My Favourite Room.’ The song itself is about heartache and a break up, so Ogden asked the audience if anyone had been dumped recently, which then led to him having a conversation with a young girl at the barrier named Jess – who had been dumped by a lad called Harry. Ogden then thoughtfully (or painfully?) personalised the song to the young girl, changing the lyrics to incorporate both of their names… hopefully that’ll help her get over the break up ey? Odgen then mixed the outro of the song into a short medley of covers included ‘You’re Gorgeous’ of Babybird and ‘Half The World Away’ of fellow Mancunians Oasis. Both of which were greatly received by the crowd, as they sang back every word. 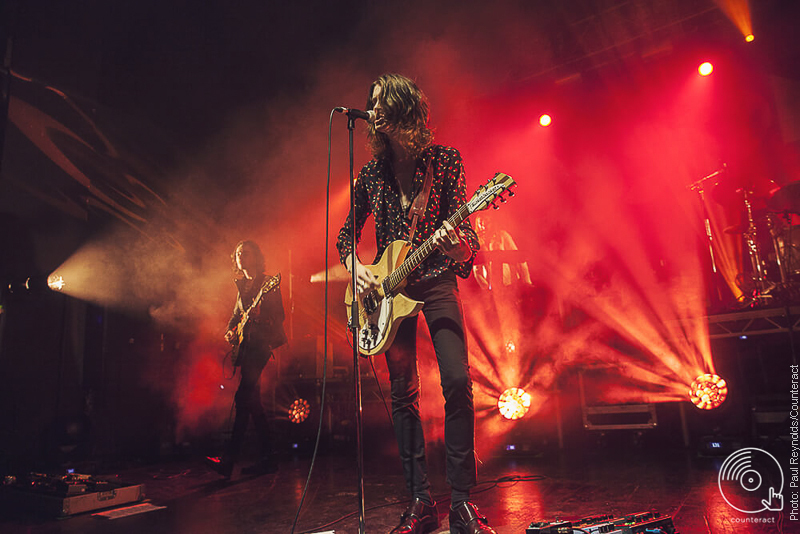 Since the band’s inauguration in 2013, Blossoms have grown by leaps and bounds. What they have achieved in such a short amount of time following their exposure is truly remarkable, and the hype will only continue to multiply. 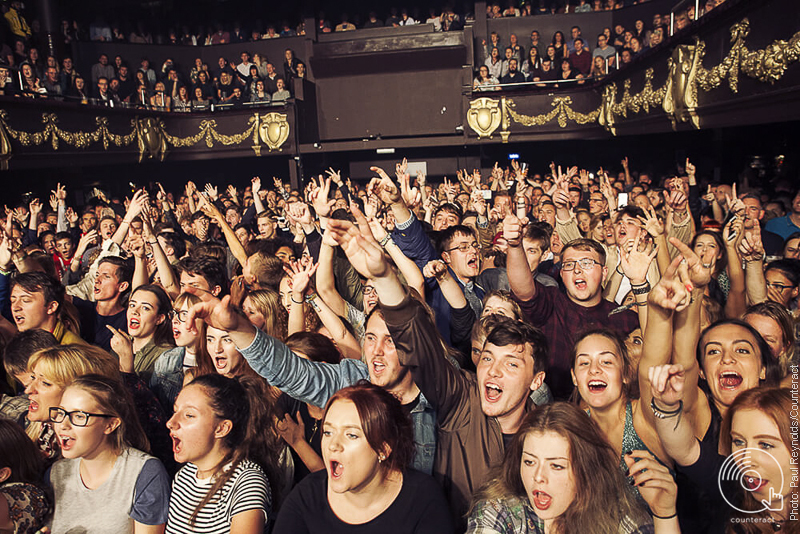 From performing to 50 people two years ago at The Institute to selling out the main room on Friday night, the only question is if when they next perform in Birmingham, will it be an arena? I certainly wouldn’t rule it out for this ambitious and hugely talented band.